Altijd al de motor op afstand, via uw zender, willen starten? Nu kan dit voor b.v. de DLE55. Alleen nog een 12V of 3S LiPo met schakelaar nodig en u kunt de motor starten via uw zender. The two short screws are equipped for installation of DLE55, DLE55RA, DA50 and DA60 engines. The two long screws are equipped for installation of EME55 and EME60 engines. 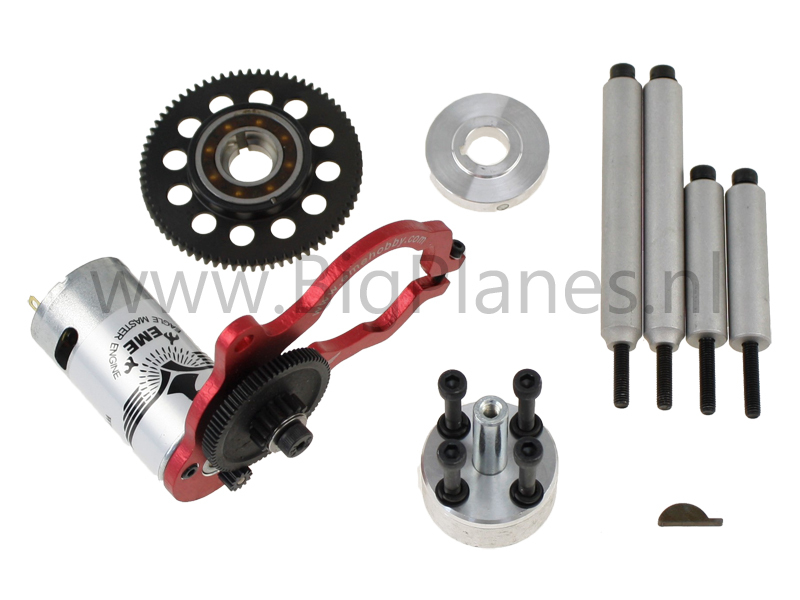 The starter can also be used for installation of a DLE55RA, DLA56, DA50 and DA60 engine after a little refitting (Note: the refitting needs to be completed by individual, and it’s suggested only to consumer with hands-on capability to buy this starter). 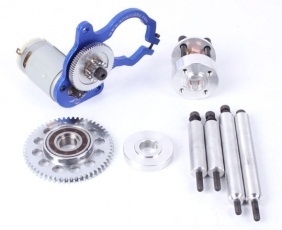 The starter is equipped with one-way bearing, which makes that the force can only be transmitted to the engine. But the force won’t be transmitted to the motor when the engine starts, which contributes to protecting the motor effectively. The starter is equipped with JOHNSON high speed 550 carbon brush motor with built-in cooling fan, and it also has satisfactory speed, torsion design and balancing. 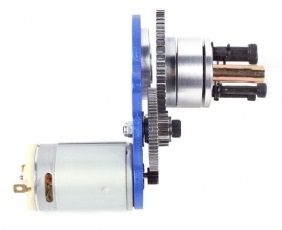 It can be applicable to DLE55, DLE55RA, EME55, EME55-II and EME60 engines. The DLE55RA needs a little of rework to make the starter fit.